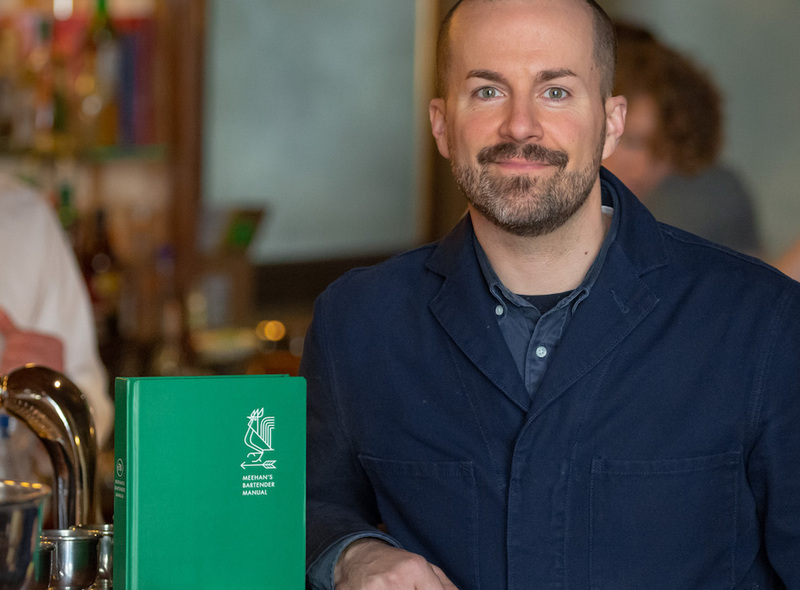 In 2017 Jim Meehan, founder of PDT in New York, published Meehan’s Bartender Manual. At just a little under 500 pages it brilliantly pulls together a lifetime of bartending experience, making it essential reading for both bar professionals and home bartenders. Moreover it picked up the award for “Best New Cocktail or Bartending Book” at last year’s Tales of the Cocktail Spirited Awards. We caught up with him to talk bartending philosophy, European tours, the bartending craft, his passion for punch and Banks Rums – the brand he helped found. You’ve recently returned from a European tour, what was it all about? The tour was a kind of homage to the DNA of Banks Rums. Back when they were launched the inspiration of the brand came from the famous English explorer, Sir Joseph Banks. He’d gone out into the world and discovered all kinds of amazing things, then went back to London where he carefully documented and shared them. 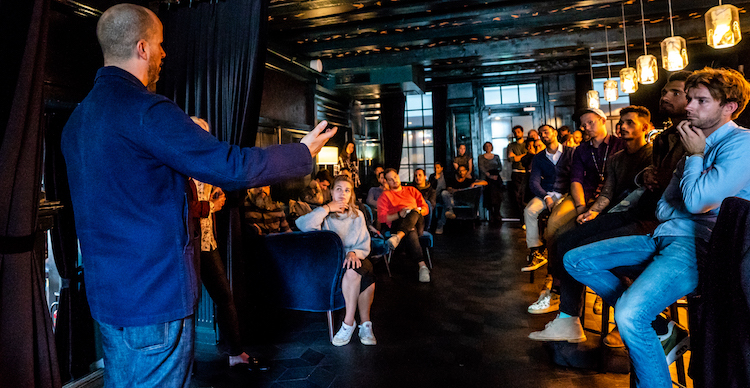 So the idea of the tour was to visit Amsterdam, Copenhagen, Düsseldorf and Berlin, where we discovered things and also shared what we’ve been doing through a series of punch talks. It was really cool! Punch talks – we like the sound of them, how did they work? It sounds simple in some ways. I think social media is very dominating in a technocratic age. We’re all following each other on social media and we all know what each other is doing, but we aren’t in the same room all that regularly, apart from things like Tales of the Cocktail or BCB. The idea of the punch talks was to celebrate the fact that we as bartenders are very social people and the time we have to spend together face-to-face is very special. What is dear to our hearts is that these gatherings can be fun, maybe a little rowdy and a great way to catch up. At the events we weren’t hammering aways at the details of the origin of Banks and we weren’t teaching these guys how to make punch. In each venue we showcased a punch and a drink from the host bar, so it wasn’t just about me, my recipes and my book. It was about showcasing these other bars – that’s what the brand is about; find cool stuff, celebrate it and share it. 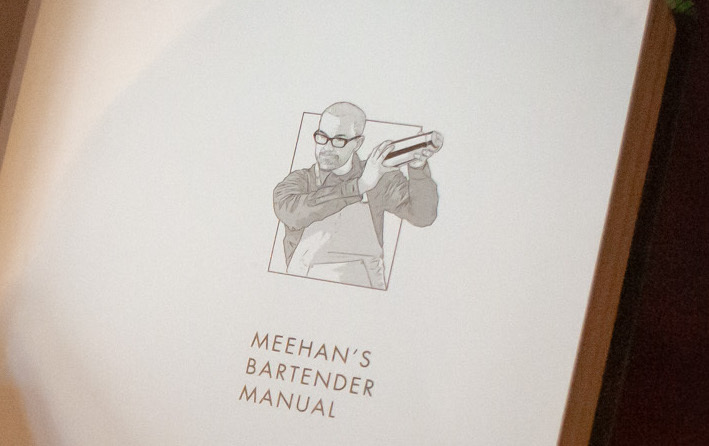 Your book, Meehan’s Bartender Manual, is a mighty collection of your knowledge from a lifetime’s experience – how did you decide on the specific areas from it on which you wanted to focus at the events? Significantly, after pouring over all the interviews and research which I’d done for the book, yes, there was a lot of technical information about spirits, cocktails and opening running bars, but it actually comes down to the fact it’s a people business. A lot of the interviews I did ended up revolving around morals, ethics and values. For instance, there’s a quote in the book from David Wondrich, “bartending is one of those great humanity jobs…you can play social engineer”. It was fun to chronicle that and I wanted to lay bare some of these values in the punch talks. What did you most want the bartenders at the events to take away from them? Was it more about specific learnings or more about the mindset of the bartender or something else altogether? The great thing about the punch talks was that there was no shortage of bartenders, young and old, who had a lot of provocative questions. So it became more of a conversation. What did you most enjoy about the tour? Thanks to social media I keep tabs on people but at Tales of the Cocktail, for instance, with 10,000 people you cannot know everyone and there are people still discovering Banks. We are all at various stages of our journey, like Joseph Banks. And like him I feel like one of the captains of the ship. It was fun ten years ago, when I was younger and had a lot to say and I talked too much. Now ten years and 500 pages of my book later, when I show up at these events it nice to shut up and just listen! I still have the same passion, enthusiasm and zeal that I had back then but it has weathered. I’m not saying I’m not as fiery or passionate, but it’s fun to meet young people and to meet people who’ve just got into this world and hear how it’s going for them. Absolutely. I have a young bartender called Channel who works for us in PDT Hong Kong. People like her really remind me of myself. I had an axe to grind and I was really swinging it! The world generally and the bartending fraternity in particular is becoming smaller and closer. What the particular similarities or distinct differences between the US bartending community and European ones such as those you encountered on the tour? At the time I was writing the book there was the Brexit debate going on in the UK and Donald Trump was running for president in the US with his nationalist agenda. This nationalist mood was fermenting and bubbling up while I was researching the history of cocktails in America, including bartenders like Harry Johnson and William Schmidt. Significantly a lot of the great bar books were either written by immigrants in the US or in Europe by Americans fleeing prohibition. As I looked at the history of the cocktail and reflected upon the state of the industry today what helped solidify my values was the importance of bars and restaurants run by immigrants. The synergy between what was going on politically and what I was researching was pretty remarkable. So the conversation goes way beyond drinks for drinks sake? Great bars have always been melting pots, places where different people from all areas of society can come and talk in the same room together. Inclusivity lies at the heart of great bars and restaurants, in the spirit of the people who run these places. It strengthened my resolve to plant the flag about what I believe in. In your book you talk about punch as the precursor to mixed drinks. What part has it played for you personally as a bartender? Nick Strangeway was one of the first bartenders I met from overseas. It was at the Lonsdale about ten years ago and we hit it off right away. Later I was aware of the punch programme he did at Hix. I was in New York at the time and David Wondrich, another of my friends, had these legendary 4th of July parties, where he’d invite a select group of people. Every year he’d serve a different punch that tasted like the nectar of the gods and serve it in his back yard in Brooklyn. I think between Nick and David I fell in love with the character of punch. Despite its name, it’s delicious, drinks like wine and it’s not a strong slap-you-in-the face cocktail. That was also around the time you became a co-founder of Banks Rums – how did it come about? Ten years ago the rum category was the last of the majors to be taken seriously. There were some delicious rums but the category itself remained a commodity. There were fine rums if you were a rum connoisseur but generally it was still thought of as something cheap to make tiki drinks with. I felt the rum category needed help. Then and now rum has what I believe is a sugar or sweetness problem. You buy a bottle of gin or whisky and you’re pretty much guaranteed that you’re not going to have an extra 10 or 20 grams of sugar per litre added to the bottle without it saying ‘this is a gin liqueur or a whisky liqueur’. But you go and buy a bottle of white rum and make a drink with it, not knowing that the producer has added a bunch of sugar to the bottle. I think the true characteristic of Banks is a dry, flavourful white rum. That’s what we launched and working with a liquid that, as a bartender, I could decide how much sugar I actually wanted to add was incredibly important. And the other thing, not to dis anything, but ten years ago most white rums, apart from rhum agricole, tasted like sugar cane flavoured vodka. So when we launched with a bold white rum that had no sugar added in 2010 there was a reason that we wanted a product for cocktails. It was quite a thing. It might not sound exciting now but launching a bold, dry white rum ten years ago that made a great daiquiri and a great mojito, or that you could mix with anything else and still taste, that was why I got involved. Around the time I first tasted Banks I was reading a galley copy of David Wondrich’s book Punch and had already devoured his book Imbibe! So I was excited about the arrack that David had written extensively about. My personal interest has to do with my friends Nick and Dave, and my very first involvement with Banks. What makes Banks different from all the other blended rums on the market is that we have arrack as a part of our key blend. So punch has alway been in the back of my mind and when we launched Banks the cocktail world was still kind of young. It was still too early to talk about punch when people were still learning how to make a daiquiri. But ten years later, what I’m saying to anyone who will listen, is that more and more cocktail bars are looking for solutions to volume issues which they face. Ten years ago people weren’t going to bars just to drink cocktails. Now they are and punch is the perfect craft oriented high volume solution for a lot of the bigger bars. Punch is also what I literally recommend that everyone serves at home. It’s the perfect drink for guests at a party. As more and more of our guests get interested in making their own cocktails I think the punch is the ultimate format of a simple drink like the spritz that we can introduce to people in bars. And it is going to take off, I promise. I think that’s where the long game is with punch, I’m 100% positive. A lot of people use the dedication in their book to thank their wife and kids, or grandmother who taught them the great values of hospitality. I chose to make mine about the moment in the Karate Kid movie when Daniel is sick of doing Mr Miyagi’s chores. I wasn’t sure if 22 year old bartenders would know about this film, but luckily they do. I chose it because both bartending and life are filled with mundane things. There’s nothing glamorous about getting up in the morning and brushing your teeth and ironing your clothes to go to work but these moves are part of life’s karate. I feel like if strip away the trappings of cocktail bartending , bar operating and drinks mixing from my book you will see a book about how to live and how to live well. I think secretly, subversively that is what I was trying to write is a book about how to live well. That Mr Miyagi scene is mentioned in the book and is about someone being mad about having to do housework. I can almost imagine a young 22 year old bartender dreaming of winning Bacardi Legacy and instead they’re juicing limes or putting away their station at 3.00 in the morning. They’re feeling so sorry for themselves as they got into this business because they wanted to be Ago Perrone and there they are cleaning up puke or something. Whether you’re cleaning your shoes or station, they are the Karate Kid moments of life and bartending. Those little mundane things really matter in bartending and in life too. And what about the advice for the “enthusiastic amateur”? This is a people business, whether people are coming to your bar or to your party you’ve got to remember to please them. My advice for everyone is you’ve got to be present in the moment and you’ve got to focus in your bar or your party. Yes, you’re trying to focus on a million things at once but you’re ability to slow everything down and be with someone in the moment and really listen to them is crucial. If you can do that and listen to them and empathise with them, then you will find it easier to please them, to select the right drink option and become more aware of why they came and what you need to do to please them. This is why we do this. 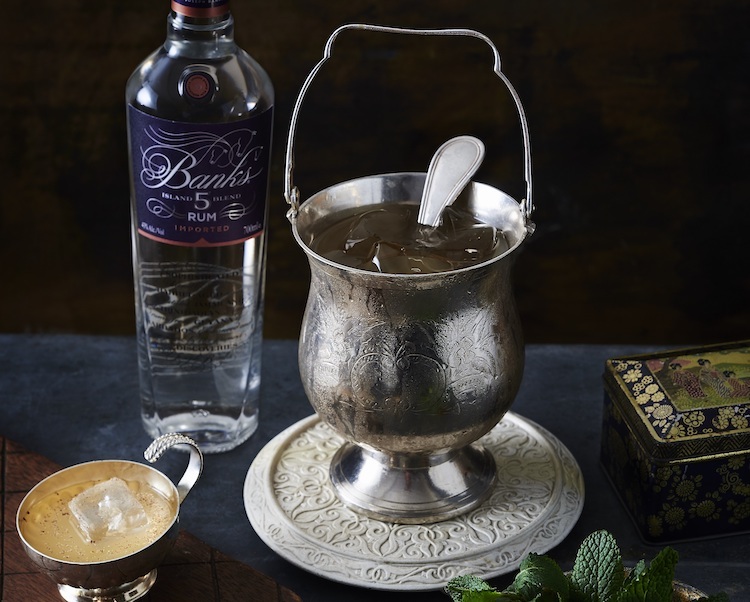 Talking of really pleasing people what’s your personal go-to crowd pleaser drink to serve to friends? I don’t believe in one size fits all. The Green Tea Punch which is in the book is one of the very first Banks punches I made and I actually made it again last night. That’s my go to punch. But figuring out what drinks to serve to people is a lot like shopping. If it’s a really important occasion you go to the tailor and have something made for you and when it’s a very special occasion you create a drink for it. But when it’s important but not necessarily significant you shop off the rack, so ask yourself what is the event about and what do these people like? Then you make something for it. Looking ahead what’s in store for Jim Meehan in 2019? I’m working on something Banks related but at the moment it’s still under wraps. Let’s just say check out the Pantone Colour of the Year for 2019. I’m very excited! Brew the tea, then stir in the sugar until it dissolves. Add four cups of ice to chill and dilute the mixture, then add lime juice and rum. Leave to chill until ready to serve. Add to a punch bowl filled with one large block of ice. Serve in punch cups filled with ice and garnish with grated nutmeg. 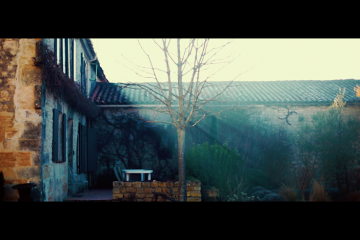 G’Vine Perspectives: who is your unconventional inspiration?